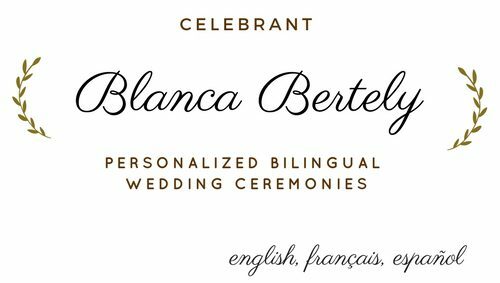 Her experience includes over 160 ceremonies as a Symbolic Celebrant joining couples from several nationalities at five star hotels and private events in Riviera Maya, Mexico and now in France. As performing ceremonies has always been her passion, she continues her journey to bring joy to the most important day in a couple’s life. Even though she’s based in Bordeaux, she is happy to travel anywhere in Europe or the world to perform your celebration of love. Being part of a couple’s commitment as well as sharing their story, is the most beautiful feeling in her path as celebrant. She counts with a degree in Hospitality Administration Management from Glion, Switzerland, although in 2014 she realized that her true calling in life is to share love and enhance the beauty of a couple’s relationship that is ready to make a commitment.